Commercial and Domestic glazing service provider. 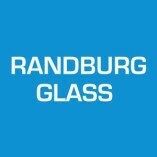 Randburg Glass is an experienced, family owned and run glazing business in Gauteng. Established in 1984 by Jimmy and Wyn Robertson, father and son, they have been proudly serving the community for over 30 years and strictly adhere to SABS... 0137-2000/SABS 1263 Codes of Practice regarding the correct installation of laminated and toughened safety glass as directed by the South African Glass Association.